I always carry something around to remind me of Robert, like his credit card. 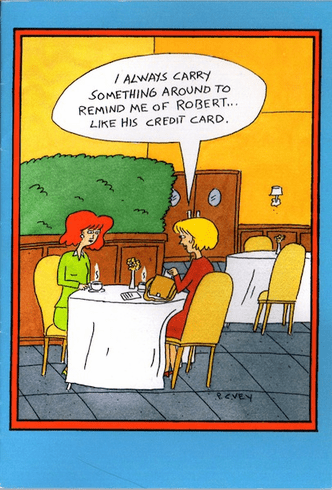 ... Just a card to let you know I remember. Happy Birthday!